The Prayer of Consecration is said after the Praises to the Sacred Heart. I consecrate my life to you this day. I thank you for the gift of the Eucharist, which gives me strength and blessing and fills me with love for you and for my neighbor. Give me the grace to share this love with everyone I meet. 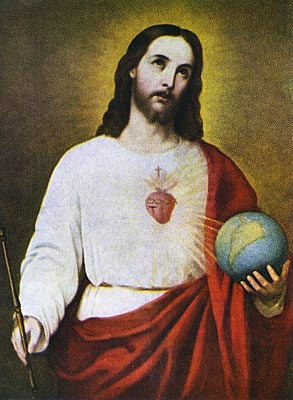 In dedicating my heart to you, let me be the means of bringing your love to the hearts of all, so that your Sacred Heart will be loved and honored among all the peoples of the world. Sacred Heart of Jesus, have mercy on me! Sacred Heart of Jesus, hear and answer my prayers! O Most Sacred Heart of Jesus, you said: "Ask and you shall receive; seek and you shall find; knock and it shall be opened to you." With confidence in your loving, compassionate Heart I come to you as the fountain of every blessing. I ask you to make my heart humble and holy like yours. Grant me to live a holy life and to die a happy death. Most Sacred Heart of Jesus, have mercy on me!